Judicial Administration: Minnesota Judiciary, Hibbing (Law Clerk/Research Attorney); 08/2010 to 20?? 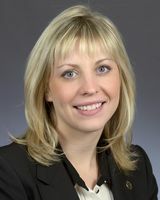 State Attorney General Staff: Minnesota Office of the Attorney General (Government Affairs Director); 02/2019 to ? 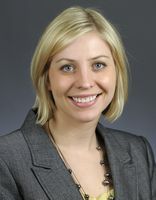 Session Notes: She won the House special election held due to the resignation of Tony Sertich. Condon, Patrick. "Medical Marijuana Bill Pioneer Navigates Tough Political Terrain." Star Tribune, May 13, 2014, p. A1, A4. Hegarty, Sue. "From Staffer to Representative." Session Weekly, St. Paul: Minnesota House of Representatives Information Office, March 4, 2011, p. 19.